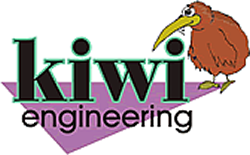 These are a few of the project engines which have been worked on at Kiwi Engineering since the business started in 1992. We have only been photographing them for the last five or six years. The custom work is an ever increasing percentage of our business due to the fact that over time there are far fewer people who are willing and capable to undergo these projects. People from all over the country have requested our services. In an era of "specific specialization" it is unheard of to find those who understand such an eclectic collage of engine variables. In the end, it comes down to understanding the basics. Although each design is different, they all share the same basic operation. The difference comes in the implementation of the plethora of design traits.